WEST LAFAYETTE, Ind. – After more than five decades of hostility that cost hundreds of thousands of lives, Colombia has embarked on a new era of peace. But the peace brings its own risks: a chaotic transition could leave the country’s richly diverse forests unprotected and, ultimately, lead to a loss of resources and species that would harm rural populations. Scientists are urging the Colombian government to plan for the future of its forests as soon as possible. 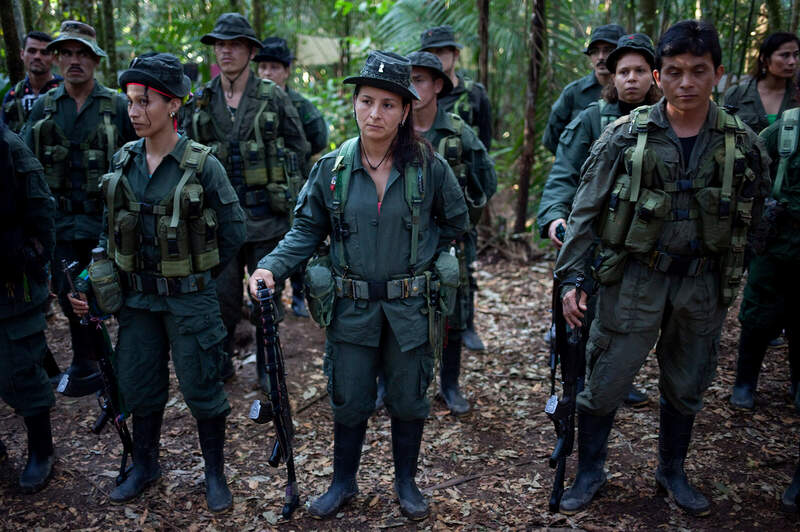 Colombia and the Revolutionary Armed Forces of Colombia (FARC) implemented a peace treaty in 2017, putting an end to more than a half century of fighting. Now, scientists are worried about the effects on the country’s important ecosystems as people pushed to urban areas by violence return to their rural homes and government and private interests look to the forests as prime opportunities to expand mining and agricultural interests. During its existence, FARC unintentionally staved off deforestation and protected significant ecosystems, said Jeff Dukes, a Purdue professor in the Department of Forestry and Natural Resources and the Department of Biological Sciences, and co-author of a paper that addresses the issues facing Colombia’s environment. A paper published in the journal Frontiers in Ecology and the Environment lays out the concerns about the forests, which cover about 460,000 square kilometers, or 30 percent of the country. The findings are based on a 2016 meeting in Medellín, Colombia, organized by Purdue biological sciences graduate student Alejandro Salazar, that brought together climate and environmental scientists from Purdue, several Colombian universities — Universidad de Antioquia, Universidad EIA, EAFIT University and Universidad Nacional de Colombia — as well as Columbia University, the University of Exeter, the University of Miami and the Max Planck Institute. Colombia — like the rest of the world — is also experiencing changes to its climate, including rising temperatures and reductions in precipitation. Deforestation could further dry out the climate and threaten the habitats of many vulnerable animal species. Forest clearing has already increased since the peace agreement was signed. In 2016, deforestation jumped 44 percent in Colombia. The authors said it will be up to the government to balance ecosystem needs with the desire to utilize land that had been occupied by rebels for so long. They suggest increasing environmental monitoring to understand how ecosystems are changing and using that information to develop strategies for protecting the country’s natural resources. “Based on other examples of political transitions, Colombia would benefit from thinking very carefully about what it wants its environmental future to look like and what sort of environmental stewardship needs to take place,” Dukes said. Purdue’s Qianlai Zhuang, professor of agronomy and earth, atmospheric, and planetary sciences, and Maria Uribe, a graduate student in ecological sciences and engineering, were also authors on the paper and contributed to the organization of the 2016 meeting in Colombia. 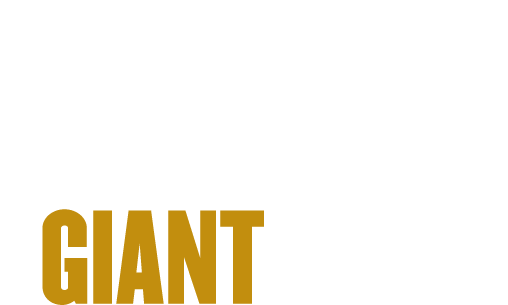 Funding for the project came from Universidad de Antioquia, Universidad Eafit, the Purdue Research Foundation, ICETEX, the Purdue Climate Change Research Center, the Colombia-Purdue Initiative and the Colombian Student Association at Purdue. Other partial funding was from Colciencias, the Ayudar Foundation from the University of Exeter’s College Benefactors and the U.S. Department of Agriculture’s National Institute of Food and Agriculture. 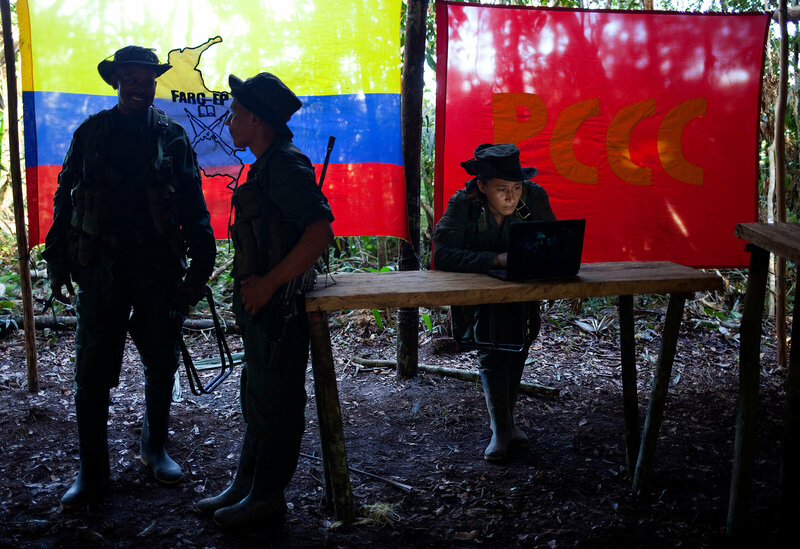 Colombia, one of the world’s most species-rich nations, is currently undergoing a profound social transition: the end of a decades-long conflict with the Revolutionary Armed Forces of Colombia, known as FARC. The peace agreement process will likely transform the country’s physical and socioeconomic landscapes at a time when humans are altering Earth’s atmosphere and climate in unprecedented ways. We discuss ways in which these transformative events will act in combination to shape the ecological and environmental future of Colombia. We also highlight the risks of creating perverse development incentives in these critical times, along with the potential benefits – for the country and the world – if Colombia can navigate through the peace process in a way that protects its own environment and ecosystems.